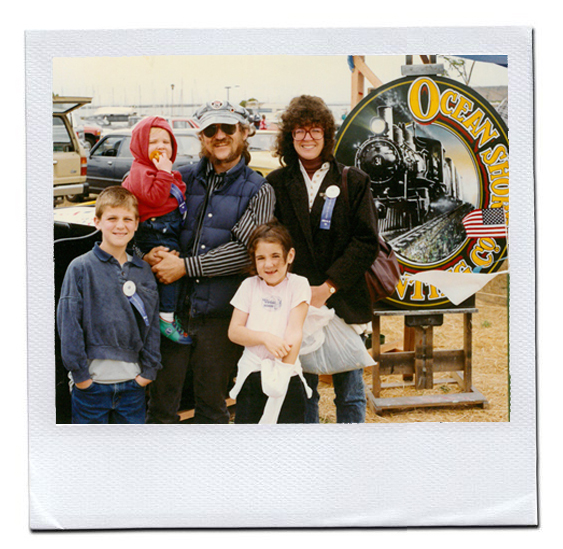 In 1988, my parents (shown here) bought their parents' print shop in Half Moon Bay and renamed it "Ocean Shore Printing." Ocean Shore and family have always been one in the same to me! My earliest memories are of riding my scooter to the shop after school where Dad was hard at work. In 1990, we relocated to Northern California where we have enjoyed working in and around the Rocklin community. In 2018 (just this year! ), I took over Ocean Shore Printing when my parents set off on their next adventure ~ retirement! My brother Jared and I are proud to be the third generation to carry on the family business. We have always, and still do today, take a great deal of pride in our work. We LOVE what we do, and we believe it shows in each and every project that comes our way ...but don't just take OUR word for it!